I try to respond to all emails within 48 hours, and spend most early mornings responding to emails. will do best for you, and answer any questions you may have before the fish are in your tank! put the order together anyway. are done here, and to answer any questions you may have, by being able to observe into the tanks directly. If you would like to meet in a video conference, email me to set up a time. shipping will need to wait until my return). 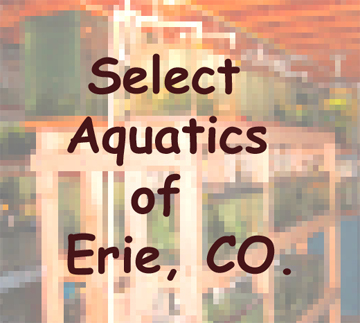 Select Aquatics of Erie, CO.